Perhaps she could help pay for college if she put this note under her pillow every night. Cathy is getting all four wisdom teeth out on Friday. (Ouch!) 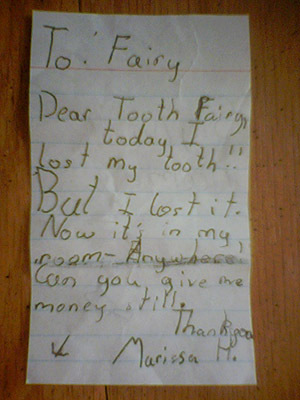 Do you think Marissa would be willing to negotiate with the tooth fairy for her?